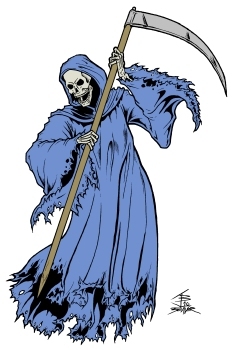 This is Death from Konami's Castlevania series in his original design. The pose is based on his sprite from the NES Castlevania games. I tried a different style of tattered clothing for the bottom of the robes to make it look like the bottom had rotted away.